How Infibeam plans at revamping its logistics business? The Ahmedabad based company will now roll out a full-fledged operation across the country by building logistics infrastructure to tap local and small-time courier services and merchants. An Indian internet and e-commerce company Infibeam has now planned to restructure its logistics business by implementing ‘Shipdroid’ a service aggregation platform to tap the courier industry and merchants. In the past two years, the company has been testing the service which is designed to help online merchants to integrate a wider range of courier service providers on one platform that results in maintaining uniformity in the entire logistics chain. The Shipdroid service has engaged a capital expenditure of around 37.5 cr. With this move, Infibeam hopes its own logistics would never run empty truck due to traffic coming from local courier players. Currently, the service is being tested by sellers on the company's Buildabazaar and other platforms. 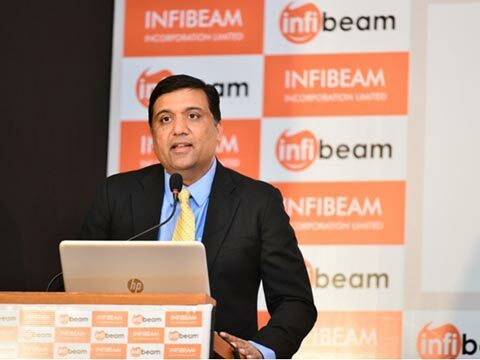 Infibeam is now planning to transport packages in bulk using its infrastructure that would consist of their-party transportation and a network of warehouses located mainly in high-traffic routes and working on the hub and spoke model. Commenting on the same, company’s founder Vishal Mehta said that India's top 100 cities account to almost 70-80 per cent of retail sales and presence in these cities would allow them to cater to a majority of courier traffic. By using Infibeam's logistic network, the couriering cost would become more predictable for small players and presence of small players would ensure optimal utilisation of its capacity, he added. Unlike other eCommerce businesses, Infibeam’s Shipdroid would focus on creating infrastructure and engaging in high-volume logistics in about 100 cities that comparatively have high retail sales volumes.